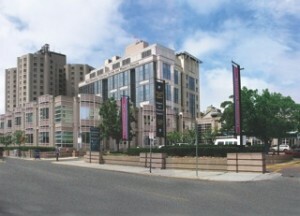 Brigham & Women’s Hospital – BICOR Imaging Facility, Boston, MA - J. & M. Brown Company, Inc. Scope: Comprehensive electrical construction of hospital’s new Biomedical Imaging Core Resources (BICOR) Nuclear Imaging facility, housed in three separate buildings on the BWH campus. Electrical installations provided for Thorn Research and MRI Building. Ground-up electrical installations for new single-story building located between Thorn Research and MRI Building – new building houses radiochemistry labs and state-of-the-art PET cyclotron equipment.